Part 2 Before You Ride: This section shows you how to start a young horse under saddle. This is more than a nuts and bolts section. You'll see how training works in the real world - how training problems emerge and clicker training solutions are found. Training a horse is not a matter of following "cook book" recipes. The best trainers are creative and responsive to the needs of each individual horse. 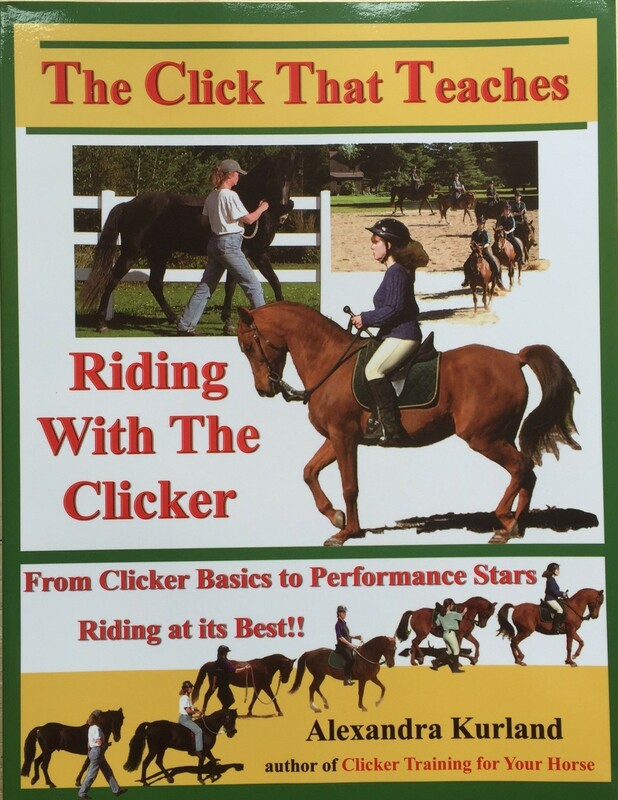 You'll learn how to use clicker training to prepare a youngster for riding - how to teach him the emotional self-control and physical balance he'll need to be a great riding horse. Part 3 Riding with the Clicker: Riding with the clicker is very much like taking apart a jig saw puzzle and then putting it back together again. You're taking apart your horse's training piece by piece. Only instead of reassembling the original picture, you'll be building it back better and stronger than it was before. Safety, safety, safety - Safety always comes first. This section introduces you to the mechanics of single rein riding. It gives you two powerful exercises - head lowering and flipping the hips - to stop bolting, bucking, spooking and rearing - in other words, to stop all the major behavior problems that take the fun out of riding. Part 4 Training Exercises for the Rider: Riding Excellence is built on a foundation of body awareness. These simple exercises allow you to become a "Centaur", exploring your horse's balance through the "t'ai chi walk". Part 5 Single-Rein Riding and the Building Blocks of Excellence: The previous sections showed you how to take apart your horse's training, to make sure each of the critical responses was working well. In this section you'll begin to reassemble the pieces through a series of patterned exercises. Lessons covered include: the "why would you leave me?" game, jaw flexions, three-flip-three: the foundation of lateral work, move-counter move, hip-shoulder-shoulder to create collected stops, collected gaits, the "300 peck pigeon" lesson under saddle, the "hotwalker" lesson to build perfect circles, the school figures: rollbacks, half turns, half-turns-in-reverse, diagonals and reverse-arc circles - the foundation lessons for upper-leverl performance. Part 6 Riding for Performance: This final section shows you how to connect all the training steps to create an upper-level performance horse.